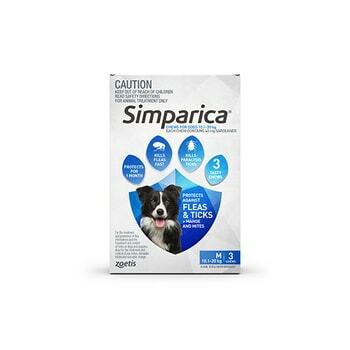 Simparica Flea and Tick Control Treatment for Dogs is a great tasting chewable tablet used to treat tick, flea and sarcoptic mange infestations in dogs weighing >40kg – 60kg for up to 5 weeks. It is a highly platable flavoured chewable tablet, readily consumed by dogs when offered as a treat. Simple.